Commie designed and oversees the firm’s approach to financial and estate planning. She works closely with individuals and their families to best utilize their wealth to meet their lifetime and legacy goals. Prior to joining Beacon Pointe Advisors, Commie practiced as an estate planning attorney at Albrecht and Barney and served as the Director of Estate Planning for Pacific Life Insurance Company. 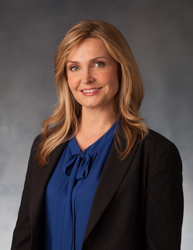 She earned her Juris Doctor from Pepperdine University School of Law, her BA in Economics from the University of California at Irvine, is a member of the State Bar of California and an Investment Advisor Representative (Series 65). She has been featured in The Wall Street Journal, US News & World Report, The Street, Financial Advisor IQ, The National Financial Educators Council, The Journal of Practical Estate Planning and The University of California, Irvine’s Wealth Management Frontier Journal. Commie is passionate about financial education and regularly speaks on a host of financial and estate planning topics and has been a guest lecturer at The Paul Merage School of Business at the University of California at Irvine and Stanford University. She is also is a founding member of the Beacon Pointe Women’s Advisory Institute and co-authored Your Dollars, Our Sense: A Fun and Simple Guide to Money Matters, an international best-selling book that has ranked #1 in six different business/finance categories. Commie has served as the Governance Chair for Hi Hopes Identity Discover Foundation. Commie enjoys spending time with her husband and two daughters and resides in Laguna Niguel, California.